In a large pot, heat the vegetable oil over medium-high heat. Add the onion and garlic; cook for 30 seconds. 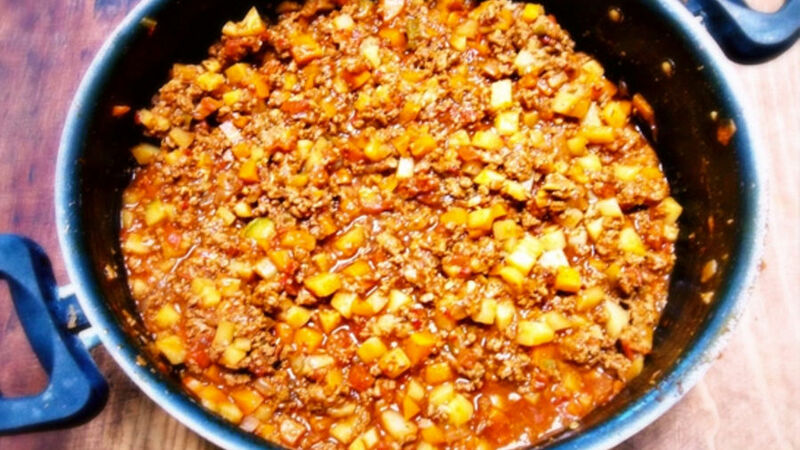 Add the ground beef, the tomatoes and the serrano chilies until the meat is cooked; season with the ground cumin and salt to taste. Add the carrots, potatoes and zucchinis. Add the red sauce for enchiladas. Let it cook for about 5 minutes. Reduce the heat to low. Cover the pot and simmer for 30 minutes or until the vegetables have cooked through and most of the red sauce for enchiladas has been absorbed. Preheat the oven to 350 degrees F. In a large bowl, combine the multi-purpose flour, the masa harina and the salt. Add the butter. 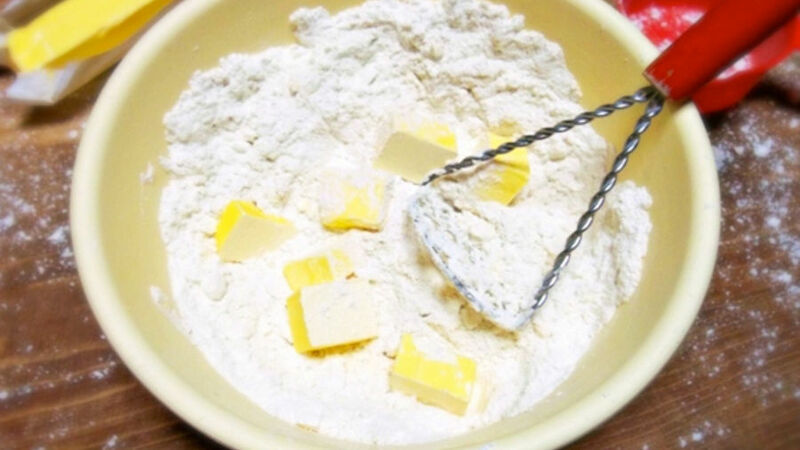 Use a potato masher to mash the mixture until the chunks of butter are as small as peas. 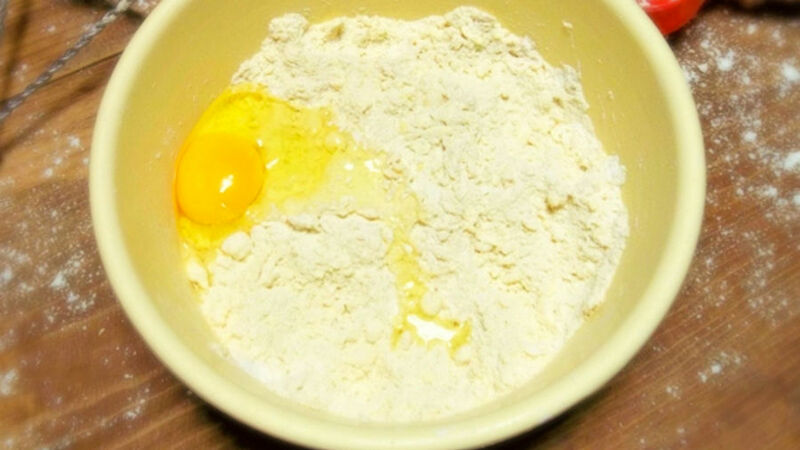 Add the egg until incorporated into the flour mixture. Add the cold water, one tablespoon at a time, until the dough forms a ball. 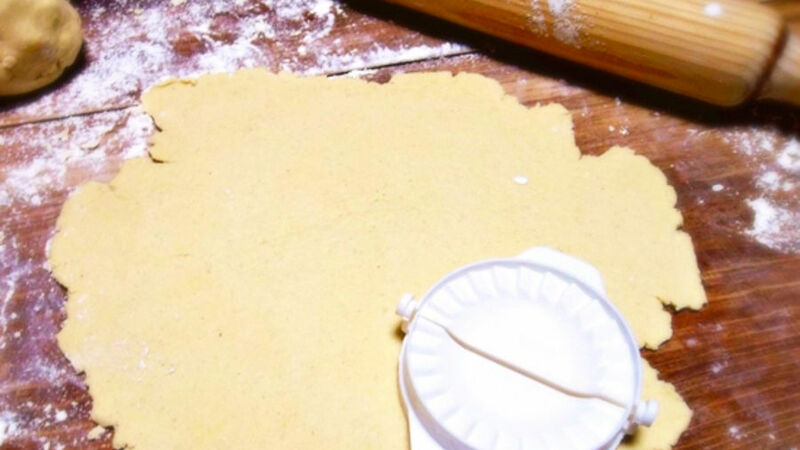 Use a rolling pin to extend the dough on a lightly-floured surface until it’s 1/4-inch thick. Use a cookie or empanada cutter to cut out 4-6-inch circles. 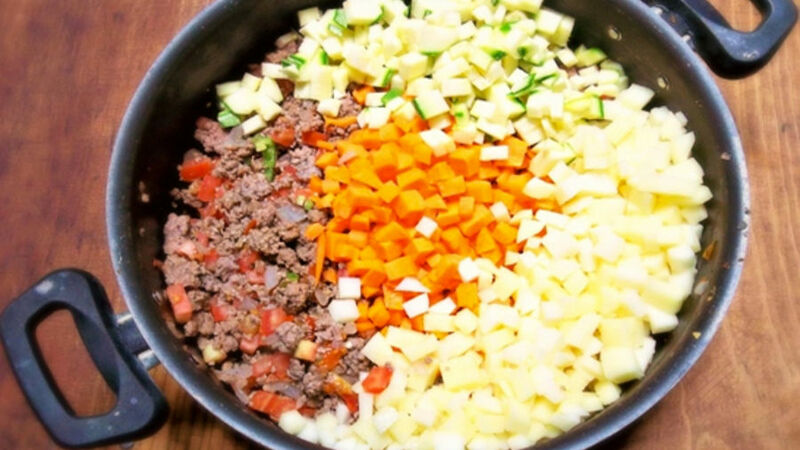 Place 2 or 3 tablespoons of ground beef in the center of each dough circle. Lightly moisten the edge of the dough with water. 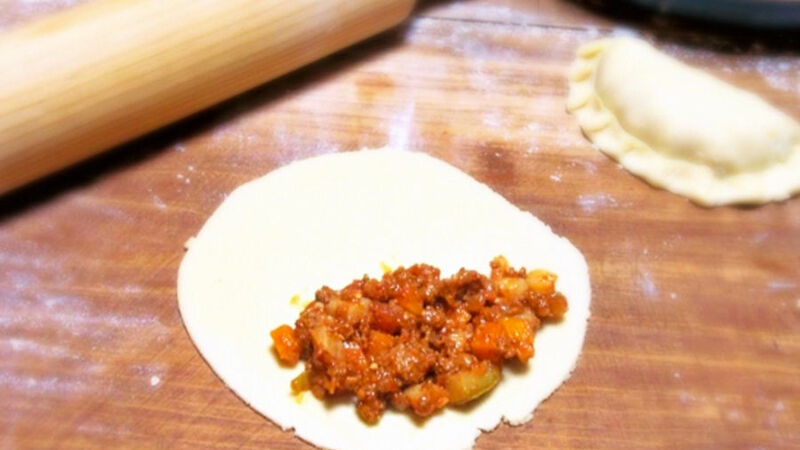 Fold the dough, covering the ground beef, and seal the edges. 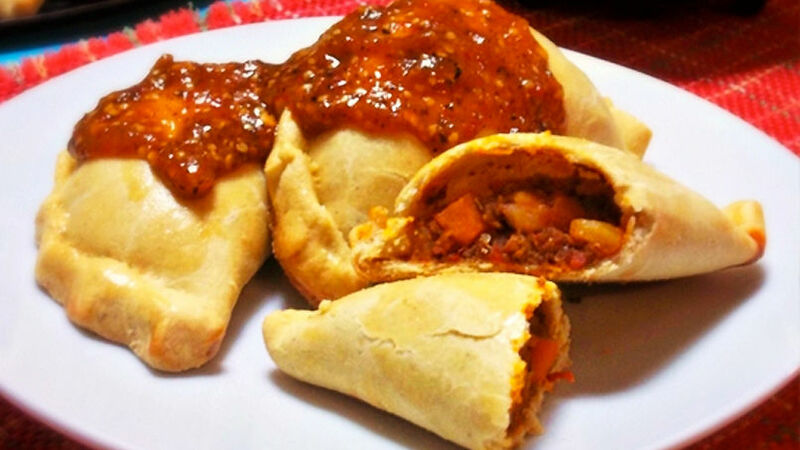 Place the empanadas on an aluminum baking sheet generously greased with vegetable oil spray. 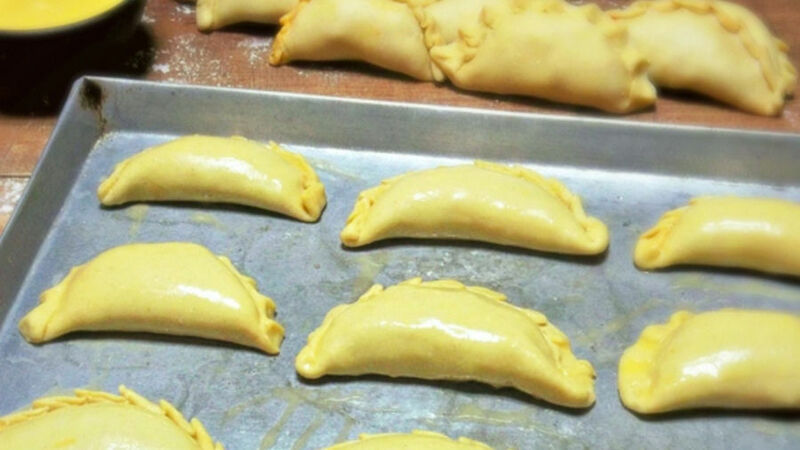 With a brush (or your fingers), coat the empanadas with the beaten egg mixture. Bake for 15-20 minutes at 350 degrees F, or until the dough is golden brown. 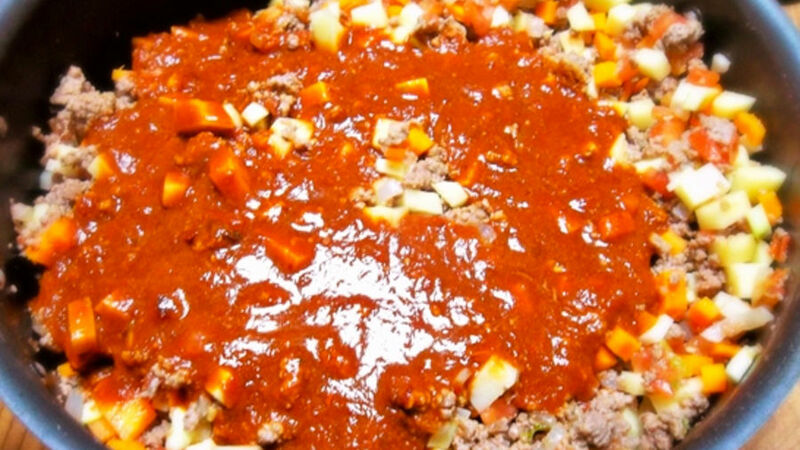 Serve your ground beef empanadas with your favorite sauce. Empanadas are definitely great for any occasion. I invite you to make this recipe for your next get-together with friends and family. Everyone will love them! My husband always tells me he doesn’t like empanadas with savory fillings. He has a sweet tooth, which is why he likes empanadas with a sweet filling. But when he’s about to watch sports, he wants something he can eat with his hands without being distracted from what’s happening on TV. That’s when I make these tasty empanadas with a somewhat spicy ground beef filling. It’s the perfect food for this kind of situation because they contain meat, chili, lots of vegetables, and you can eat them with your hands without making a mess. After the game is over, my husband always states that ground beef empanadas are his favorite. Make them and you’ll see why!